So this is a bit of a mishmash of a post. Google Plus is finally being opened up to the Google Apps users! Phew. That settles the hash of using my old Gmail address solely for the purpose of sticking stuff in the Google Plus panel! Anyways. With over 40 million users in a few short months, G+ seems like the place to be as far as us Googlephiles are concerned. While I realize the complex privacy implications of the matter of using profiles and plus with the institutional Apps users, I have always thought that we Apps users were getting a raw deal. While I am not completely sure whether profiles will be activated or not, I think they should be, since that is the basic premise of having a Plus page. Coming to the next order of business, this year’s submission for the Open Laboratory 2011 edition is over. A whopping total of 721 submissions were logged, one of which was by me! The best 52 entries will be sorted by a panel of judges and be published in The Open Laboratory issue of 2011. Now I do not, for one moment suffer under the delusion that I have an iota of a chance against the blogging giants who figure beside me, but it was worth a shot to just throw in my name in the hat. Now unlike the MedGadget contest in which I was bested by ZDoggMD, this is not a popularity contest and people will actually be judged on the basis of the content they write. This further reduces my chance since in my battle against the Zee, the only reason I managed to stay afloat was the fact that I could manipulate my social network to vote for me. Sigh. Anyways. It was good to just log my name into the contest. 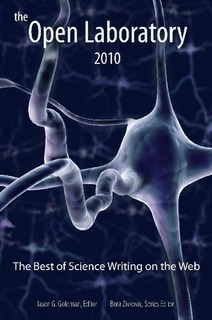 The list is a comprehensive collection of the best and the brightest in the science blogging community. If you have the time on your hands, you should surely check out the contributions. This might well be the toughest Open Lab to collate. Best of luck to Bora and Jennifer and the panel of judges! That brings us to the final order of the day for the time being: Post Graduate Medical Entrance season is upon us! The AIIMS PGMEE is on 13th November, the PGI-Chandigarh entrance exam is on 20th November and on 26th November (I think, I might be wrong on this count! ), I have the CMC-Vellore. The crux of the case is that all these exams are one of a kind. The AIIMS is of the single best response MCQ pattern, with a heavy load of negative marking. For every correct answer a +3 credit is earned and every wrong answer gets –1. Questions unattempted are zero credits. The PGI-Chandigarh is an altogether different ball game. It is a multiple correct response type of an MCQ examination, and they have a rather unique marking system as well. I think this system rocks but I will proceed to detail more about it in a subsequent post. 1. It focuses on testing the knowledge in the subject that a student is interested in. While this might be a bit of a bone of contention for the generalists, I see a lot of reason in it. Consider the guy who wants to go into Biochemistry – would it not be a more prudent affair to test his Biochemistry knowledge rather than disperse the test over all the subjects? 2. In subjects like General Medicine, Respiratory Medicine, etc. which are the MOST general and broad spectrum of disciplines, there are no provisions of a special test. The message is clear: if you want to go into a broad specialty discipline, you have to be a Jack of all trades, who has mastered most! 3. Consider the plight of the fellow who has done a 2-year diploma course in a certain subject, say Anesthesiology, and now, when he wants to get an MD degree, he has to subject himself to the torture of studying through ALL the subjects all over again. This style of exam is best suited for him. Tags: AIIMS, AIPGMEE, CMC, Exams, MedBlogging, Medical Education, Medical School, Medical Student, PGI, PGMEE, PostADay2011. Bookmark the permalink.